Rental growth in the regions of England has outstripped that of London since the vote to leave the EU in June 2016. And although the country outside of the capital has seen rents go up, the overall rate of growth is at its lowest in nearly six years. The new figures from Landbay show that in England’s regions, rents have grown by 3.69% since the referendum. But at the same time, London has witnessed barely any growth with a rate of just 0.52%. Further analysis shows just how the uncertainty over Brexit has affected the London rental scene, where annual rental growth had fallen back by -0.31% a year after the vote. They recovered from that low point, but the current rate is 0.67%, with a cumulative figure of 0.52% since the momentous decision by the British people. In the rest of the country, the current annual rate is 1.11%, the lowest since January 2013. Rents in Scotland have been growing for six months, and at £746 the average is not far short of the figure for England minus London of £776. “Without a radical house building plan for both first-time buyers and purpose-built rental properties, there is no way supply will ever be able to catch up with demand. The government needs to act fast, especially in times of economic and political uncertainty the private rental sector is more important than ever. 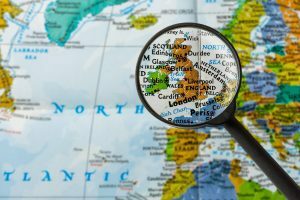 Zoopla recently found that Manchester, Birmingham and Liverpool had seen the price of a house rise in double-digits since the Brexit vote. Mirroring these rental stats, London has recorded an overall rise of just 1% over the same period. The post Regional rents grow while London stalls following Brexit vote appeared first on BuyAssociation.